Earlier this month, three people from the state of Kerala died due to a heat stroke, as a result of rising temperatures. Soaring temperatures in the state of Kerala have resulted in several people presenting with heat stroke, resulting in the death of three. In light of the issue, the state Health Department has issued an alert and has cautioned people to take preventive measures. So, what is a heat stroke? Heat stroke, also called sunstroke, occurs when the body temperature rises rapidly due to prolonged exposure to high temperatures or overtly exerting yourself (physically) in hot temperatures. In such a situation, when the body temperature rises to 40 degree Celsius (or more), it may cause several issues. 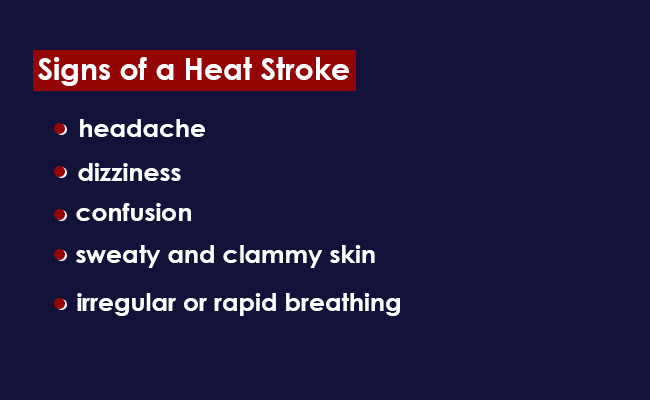 Heat stroke is an emergency condition which requires immediate attention. If left untreated, it can cause extensive damage to the brain, heart, and kidneys. Prolonging or delaying treatment can worsen a person’s condition and increases their risk of developing complications and can even result in death. Though humans are exposed to varying degrees of temperature on a regular basis, those conditions are generally within a small range within which the human body is able to maintain homeostasis (normal functions). When heat is trapped by the body faster than it is able to cool off, it essentially acts like an overheated engine, wherein normal processes get affected. Sweating is one of the mechanisms through which the body maintains a stable temperature, but when the body temperature rises quickly, there isn’t enough time for natural mechanisms to kick in, to neutralise those effects.This may then manifest in what is medically termed as a ‘heat stroke’. People experiencing a heat stroke may not all present in the same manner. However, some common signs of a heat stroke that you should watch out for include headache, dizziness, confusion, sweaty and clammy skin, irregular and rapid breathing. If someone is presenting with any of these symptoms, move them to a cool spot at once. Help them cool down by giving them fluids. If their symptoms do not seem to be improving, ensure that they get medical attention at once. Underneath the skin surface are glands called eccrine glands. When there is a rise in body temperature, the brain and nervous system trigger these glands, which are then stimulated. 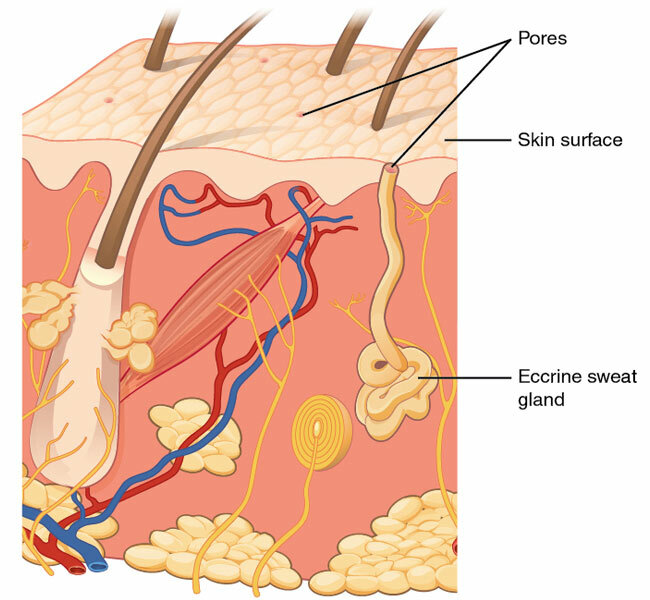 The eccrine glands cause water to be secreted onto the skin, which then aids in cooling the body through evaporation. Dehydration occurs when there is excess loss of fluid from the body. This can happen for a number of reasons, including rise in temperature, lack of proper fluid intake, overexercising, or diarrhoea. The loss of fluid can result in electrolyte imbalance. Electrolytes that are quickly lost during dehydration include sodium, chloride, potassium, and calcium. Confusion, fatigue, nausea, irregular or rapid heart rate, and in extreme cases seizures, may also be seen in a person who presents with electrolyte imbalance. Oral rehydration solution (ORS) is effective in preventing electrolyte imbalance. ORS is available in the form of a powder which is mixed with water before it can be consumed. Ready-made ORS is also available in tetra packs. After the death of three individuals from the state of Kerala, officials in the state have issued a high alert. District health officials have been given strict instructions for handling cases of heat stroke. District-level hospitals have been asked to be prepared to handle any crisis that may arise. “Several cases of heat stroke are being seen throughout the state. We have issued a notice to all the health officials so that people are made aware of the issue and that all preventive measures are in place,” stated Dr Saritha R L, Director of Health Services (DHS) of Kerala to TNM. 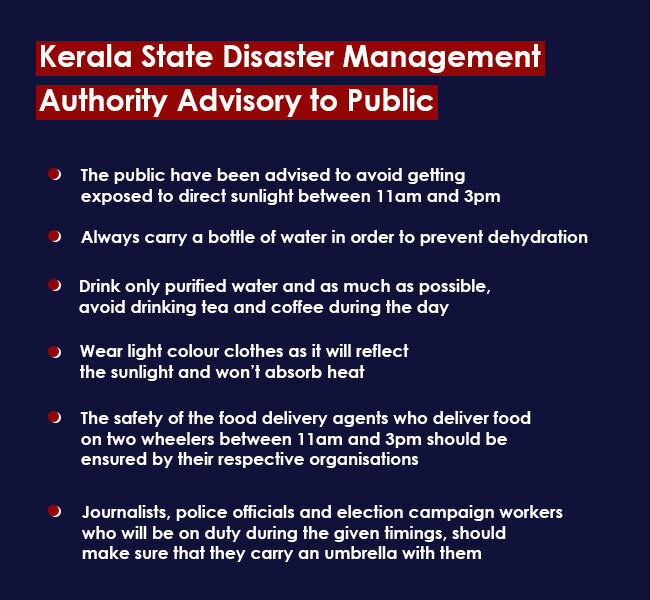 The Kerala State Disaster Management Authority (KSDMA) had earlier issued a notice to the public, listing the precautions to be taken to protect themselves. People have been asked to stay indoors during the peak times of heat during the day and are being told to drink plenty of fluids and stay hydrated.